Augmented reality (AR) technology experts never saw Pokemon Go coming. AR was meant to transform consumer markets sometime in the distant future, while industrial enterprises capitalized on the operational advantages of AR in the near term. The success of Pokemon Go as a consumer-facing mobile AR application was entirely unforeseen. Only now that it’s propelled Nintendo’s market value to unprecedented heights are business leaders considering AR as critical to their business model development. We must consider Pokemon Go’s explosive success as a wake up call. The fact of the matter is that both enterprise and commercial businesses need AR, mobile and Internet of Things (IoT) technologies to survive the industrial revolution we are currently experiencing. For the first time in two years, Nintendo enjoyed a market valuation higher than its foremost competitor Sony. New market entrants like Uber are threatening entire market sectors with simple mobile IoT solutions. The business implications of emergent physical-meets-digital technologies are significant. Pokemon Go garnered more than 500M downloads for Nintendo—it also prompted an 80% YoY increase in Nintendo 3DS device sales and 200% YoY increase in Pokemon games sales. Looking to expand the sales impact of Pokemon Go on its hardware business, Nintendo released a low-cost hardware device that pairs with mobile devices so that Pokemon Go users can play the app with their heads up. They’re also planning the release of a new console designed for the adult gamers who embraced their mobile AR app. After conducting market research, they discovered that Pokemon Go players are most commonly 25-year-old, college educated white women with high incomes. Ther upcoming hardware console, Nintendo NES, will capitalize on the nostalgic feelings of Pokemon Go players. Manufacturing and technology leaders should similarly rely on market research when conceptualizing mobile AR apps. For product manufacturers, the added step of mapping out complementary hardware designs and identifying hardware with high cross-sell viability is essential. In this way, mobile AR apps can be positioned to promote both mobile app downloads and hardware device sales. Businesses delivering truly transformative user experiences all have one thing in common—their solutions seamlessly connect hardware devices and/or physical interactions with digital technology. Wonder Workshop merges learning- and play-time by teaching young children coding skills with programmable robots. ScoopAR allows field technicians and users to manipulate augmented content mirroring real world objects. BeHere allows teachers to automatically identify students as they enter the classroom and manage extra help requests using iBeacon and mobile technology. Hyundai’s virtual owners’ manual uses AR to walk car owners through car maintenance and repair procedures. Everyday behaviors occurring in the business and consumer world can be made more efficient, engaging and ultimately valuable with AR and mobile. Businesses in both B2B and B2C markets should consider ways that mobile apps can extend into the real world. Before jumping into app design and AR integration, all use cases for already existing products should be defined and considered as potential opportunities. Internal data on product usage data, revealing most commonly used features and more, can guide the app ideation process. 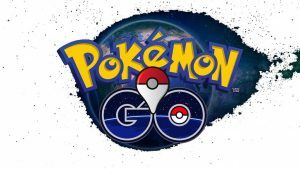 The Pokemon Go app, while available for free download, charges users for optional upgrades. In just three months, these app upgrades generated an estimated $500M in revenue for Nintendo. Mobile gaming isn’t the only sector that uses the freemium model to its advantage. Freemium app monetization models are, however, notorious for being difficult to execute successfully. Respected research firm, Gartner, predicts that in 2018 less than 0.1 percent of consumer mobile apps will be financially successful. Only 22% of business apps rely on the freemium model—many of which are operating in the red. If only virality, user acquisition and customer conversion rates were promised, then the freemium model would work for every business. In reality, the majority of businesses are better off developing AR solutions that benefit the segment of consumers or businesses served by their greater organization. The operating expenses associated with wide-scale adoption from free users is too burdensome for most. Rather than generating revenue from in-app purchases, businesses can drive customer loyalty and attract new customers with the promise of highly relevant, convenient, and useful mobile AR applications. The fourth industrial revolution is here, and it’s being driven by mobile and the Internet of Things. Contrary to discussions on these technologies, the two are not mutually exclusive—in fact, they are merging into evolving product offerings. Solutions that seamlessly integrate mobile apps with IoT-connected products are already proving themselves to be transformative across all sectors. Pokemon Go may be the first mobile AR application to strike gold, but it certainly won’t be the last and perhaps won’t have the longest lasting success when compared to future entrants. The potential for market disruption is exponential.